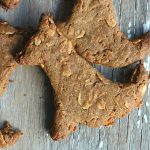 Refined Coconut Oil to Treat Psoriasis? 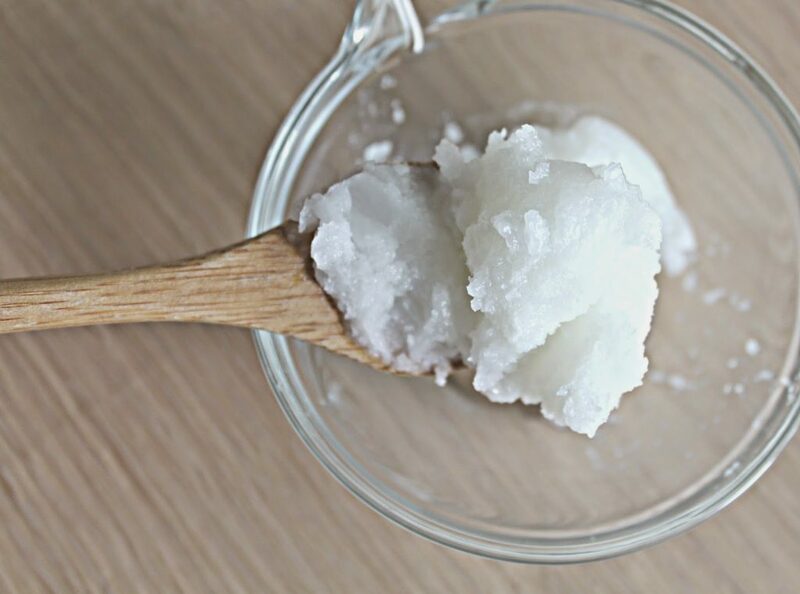 There are many uses for coconut oil; one of them being an emollient (fancy word for moisturizer) for the skin. Recently, we have been informed of a few of our customers even using it to treat their skin disorders such as psoriasis. Psoriasis is a common, reoccurring skin disease that is characterized by red, scaly patches, papules, and plaques, which usually itch. Apparently, the cause of psoriasis is still unknown but a possible cause could be when the immune system misinterprets a healthy skin cell for a pathogen and then attacks that cell by producing new cells with the intentions of destroying the pathogen. It may also be a result of an allergic reaction to foods or drugs or even stress. Whatever the cause, it can be quite unsightly, uncomfortable, and unpleasant. Apparently, there is no known cure for the skin disease, but there are several methods used to treat the problem. One treatment that has become popular recently is the use of coconut oil. 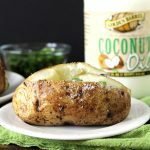 The method is to take 2 tablespoons of coconut oil internally daily whether directly on a spoon or mixed with other foods that you typically eat on a daily basis. Another more common treatment is to apply a small amount of solid coconut oil right on the affected area and rub it in 3 times per day. The solid oil will melt on the skin as it treats and soothes. 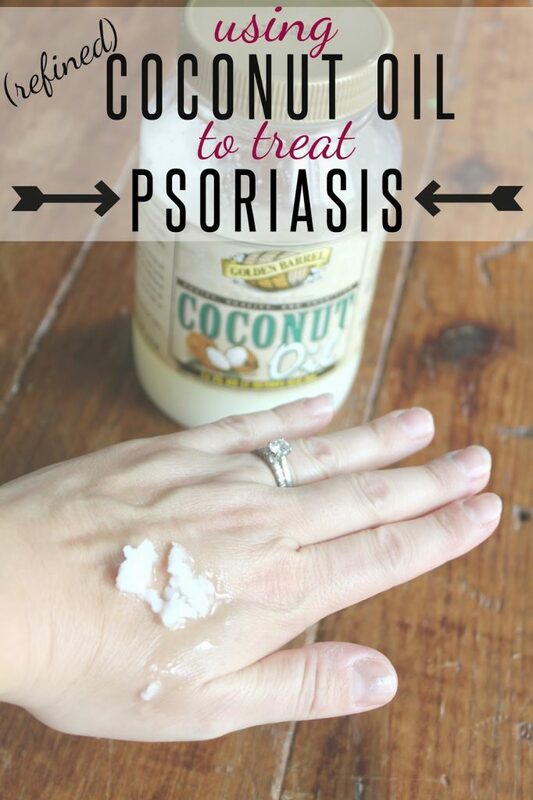 If you do research for psoriasis treatment with coconut oil, most internet sources will tell you to use virgin coconut oil since it is the least processed. However, does that mean that refined coconut oil is ineffective or shouldn’t ever be used? The answer is no. Refined coconut oil contains exactly the same medium chain fatty acid composition as virgin coconut oil which includes lauric acid. Lauric acid, which is also found in breast milk, is great for the body as it provides antiviral, antimicrobial, antiprotozoal and antifungal functions. The real concern is whether chemicals are used in the process. 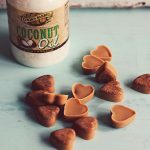 Click here for more information on how our Golden Barrel Coconut Oil is processed and here for more information on the debate between refined coconut oil verses virgin coconut oil. 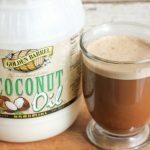 Obviously, this is not a cure and we are not necessarily making any definite claims as some people may have better results than others from using coconut oil. However, we hope the above info and testimonials help you to make an informed decision on possible treatments. If you have tried or are planning to try using our Golden Barrel Coconut Oil to treat any skin conditions or just as a moisturizer in general, we would love to hear about it. Leave a comment for us and others to see how it worked for you. Yesssssssssss ? ! This really works. I have tried for months using different creams and nothing worked as quickly as coconut oil. Thanks ! Our products are in several smaller mom-and-pop stores around the country. You can also buy it through our website here: https://www.goldenbarrel.com/product/golden-barrel-coconut-oil-refined/.